Anns Grove School will be hosting the car boot sale and activities organised by Sheffield United Community Foundation, while our neighbouring pubs will be joining in by serving up charity ales. Local history enthusiasts can visit Heeley Parish Church to view their popular exhibition, while The Institute will once again provide a learning zone with free tasters and activities for all. 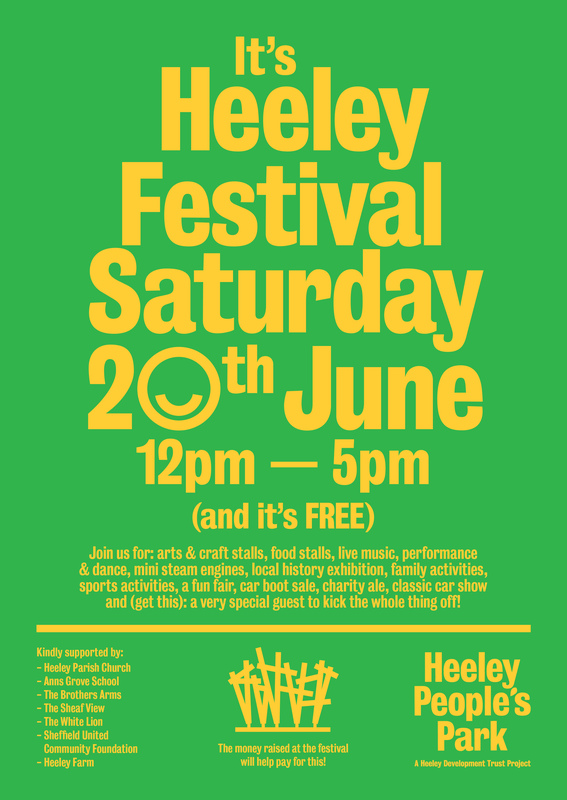 More stalls and live music can be found over at Heeley Farm, with a later finish of 8pm. 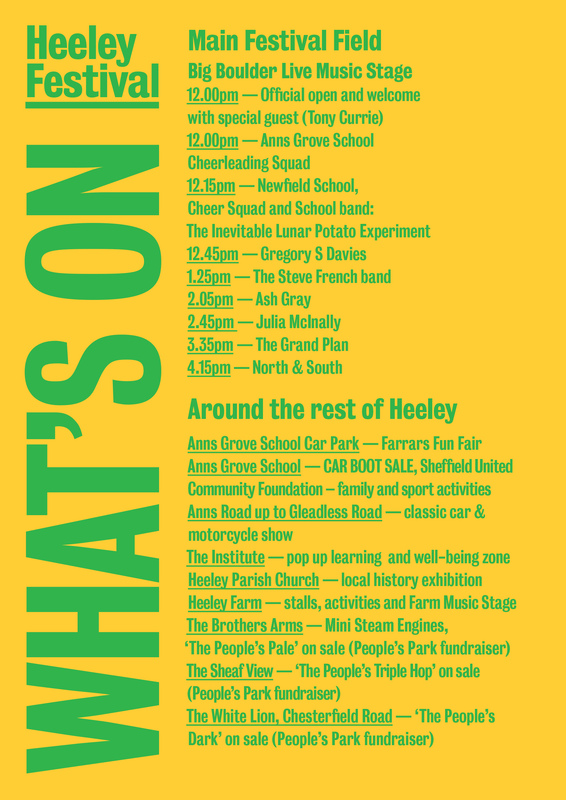 Entertainment on the Main Field includes performances from Anns Grove and Newfield Schools, plus a superb line up of live music courtesy of Big Boulder Promotions. Confirmed acts include The Steve French Band, Gregory S Davies, Ash Gray, Julia McInally, The Grand Plan and DJ outfit, North & South, bringing an eclectic mix of country, blues, Americana, folk and dance music to the event. Festival organiser Bev Nunn says ‘we wanted to build on the success of last year’s Big Boulder music stage by finding even more local talent to perform – we’re thrilled with our line-up, it should make for a great afternoon. Other new features this year include the fun fair and Sheffield United’s involvement, and hungry visitors will be spoilt for choice – we have some delicious food stalls booked’. To find out more contact Bev Nunn on 250 0613 or email info@heeleypark.org.